I can't help it, I'm obsessed. Oh Sherlock, you amazing genius. I've been browsing Etsy for the most perfect gifts for a fangirl like my~daughter *ahem*. 1. 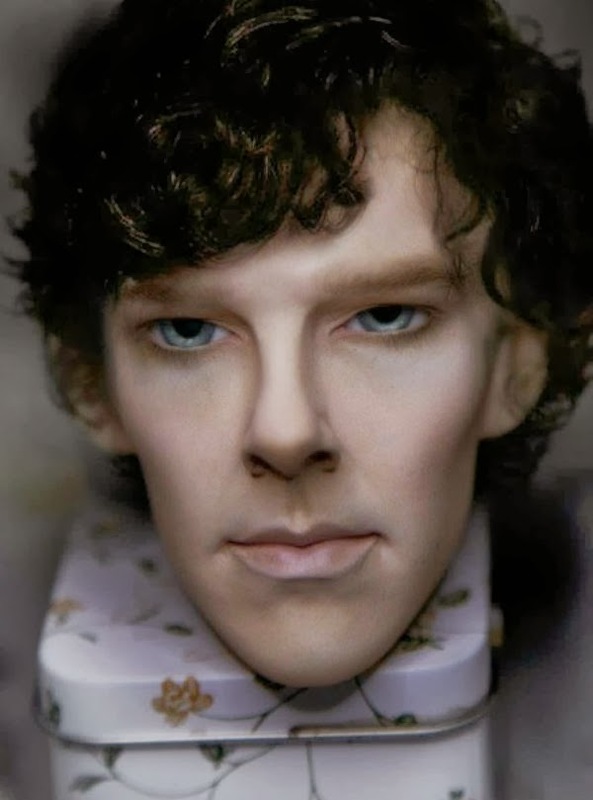 Sherlock Holmes head, I mean...seriously. Why have one of those marble busts of Beethoven when you can have this? 2. 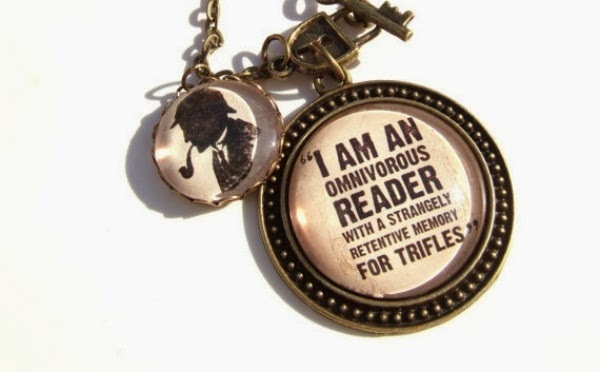 Sherlock quote necklace. How brilliant is this quote? Oh to have his observation skills. 3. 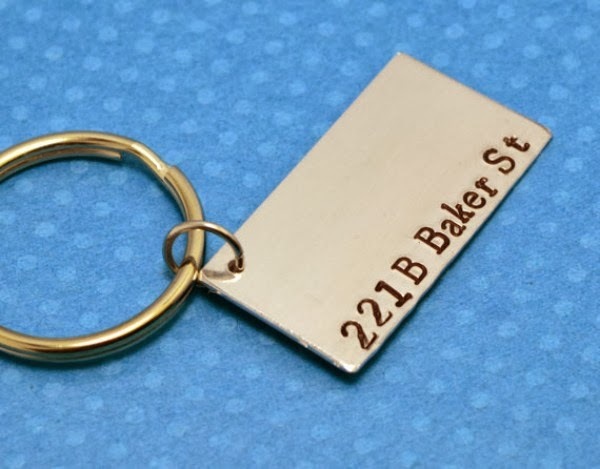 Baker Street keychain. Are you kidding me? Baker St.!! 4. 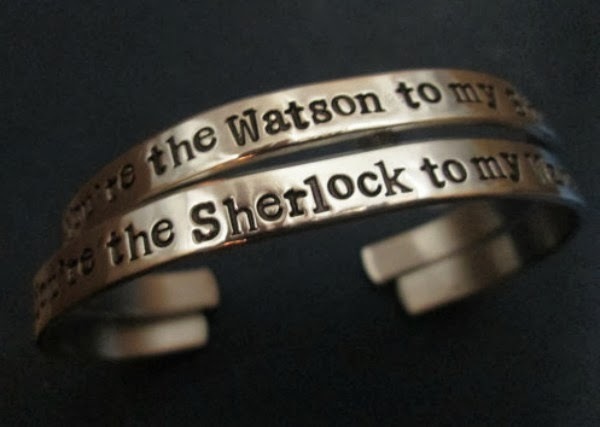 You're the Sherlock to my Watson bracelet. This is a much better BFF gift than those broken heart necklaces. 5. 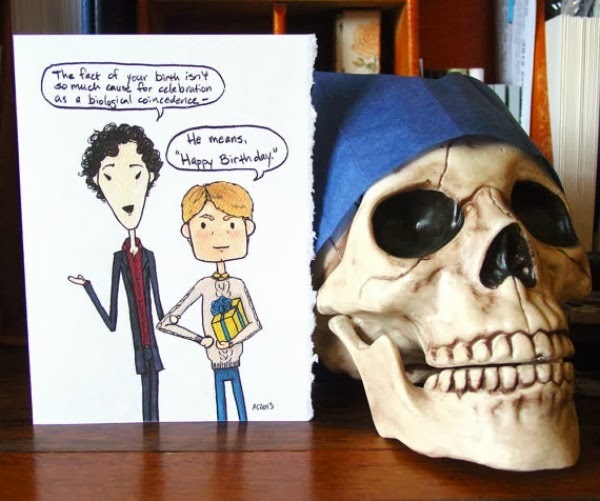 Sherlock Birthday card. This would MAKE my birthday. Are you watching Sherlock? If so, what's your favorite episode? Haha, I'll mark it off my list of possible gifts for you. :) The likeness really impressed me on that one. I am a bit obsessed too... love the bracelets!